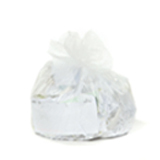 The next step up in thickness, these regular strength low density trash bags are 0.9 Mil thick. They are made of a resilient, stretchy plastic known as Linear Low Density resin. 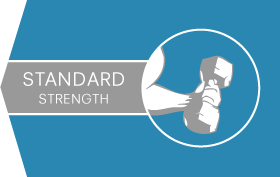 Strong and flexible, it’s able to resist punctures from sharp or pointy trash. 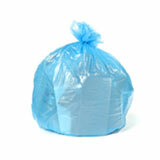 These bags are especially popular in kitchens and bathrooms and as commercial garbage can liners in offices. 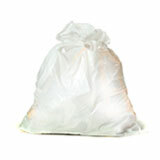 The small trash bags in this section are convenient, attractive, and pretty tough for their size. 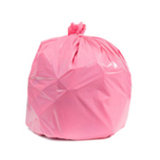 Picking the perfect trash bags for your home or business may not seem like a big deal, but we know the truth: getting it right can make a huge difference. 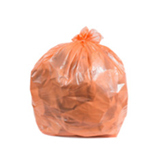 Nobody loves dealing with garbage, that’s pretty much a fact of life, but an ill-fitting, leaking, or tearing bag can actually ruin your day. With our help, that never has to happen again. First, you need to pick the right material. 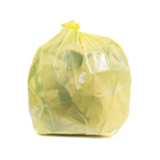 As a rule, low density garbage bags like these are best when you know the waste basket liners are going to have to deal with the occasional bit of rough trash (say, pointy bones or a sharp metal lid from the kitchen.) Then you should think about thickness. The higher the Mil number, the thicker the can liners will be. Next, but equally important, is finding the right size. 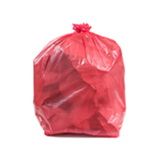 Most people don’t think much beyond “small garbage bags” or “large garbage bags” (or maybe “extra large garbage bags” if they’re facing a really big mess.) But there’s so much more to it than that. The wrong sized shoe can make you miserable. 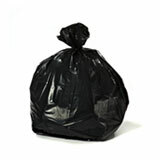 So can the wrong sized garbage bag. 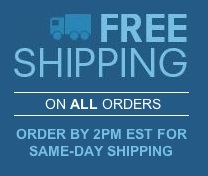 That’s the reason we offer wholesale trash bags in so many different capacities and dimensions. If you’re confused, let us help! 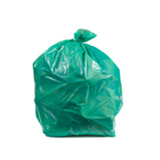 We’ll talk you through the whole process of ordering bulk garbage bags, and we’ll back those bags up with our 100% satisfaction guarantee!